Teacher networks and professional learning communities have been shown to be very effective models for encouraging teacher professional development. These networks are successful due to the relationships teachers build, exposure to inquiry based research and the continuity of the professional development projects. Now there is a new phenomenon: the use of technology to enhance the notion of developing a personal learning network. Technology, in particular social networks, empower teachers to connect with other professionals who have the same interests and issues in a continual learning environment. The digital environment allows for customization of professional development in an efficient and fiscally responsible manner. So, more recently, I’ve been thinking about how we can do this. 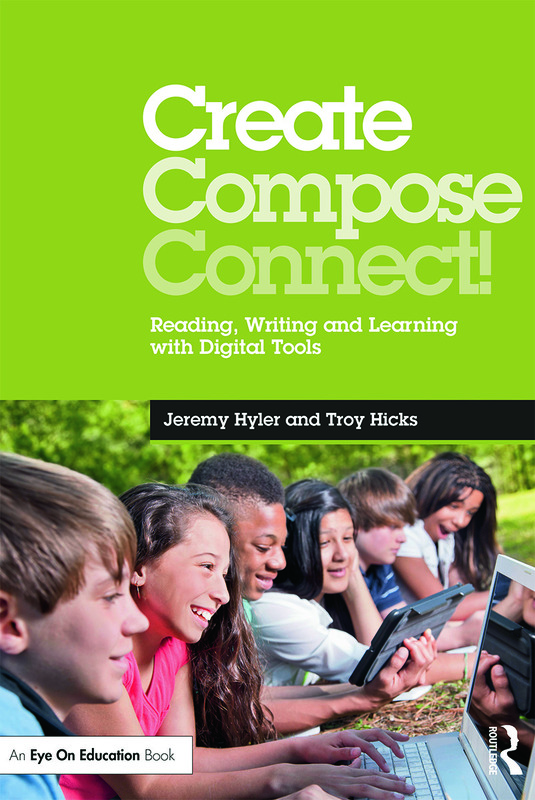 What do we do to create networked learning opportunities for digital writing, especially when the process of digital writing is both part of the activity itself and an outcome that we hope to achieve? What can we reasonably expect teachers to know and be able to do as a result of particular professional learning opportunities, both online and face to face? I have been thinking about this as a result of at least four different PD invitations I have been pursuing in the past month, and here are some of my ideas. My response at the time may not have been as articulate, but I basically feel that we (and our students) get from the process of digital writing what we put in to it. Simplistic, I know. But, the idea is that if we have students just grab some photos, throw them in a timeline, and simply narrate over top, then yes, it is plug and play. 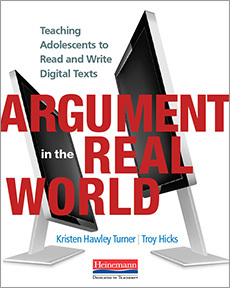 But, if we really engage them in a recursive process, ask them to examine the choices that they are making about which words, images, and transitions they are choosing, then we can really focus on teaching them how to digitally write. Sadly, I don’t think that I was able to get that across in the webinar, and that may have been an issue of format and time constraints, so I wonder how I could do that better in future PD events such as this — how do you invite teachers into both the pedagogy and the process of digital writing through an online experience such as a webinar? 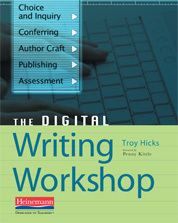 My second recent experience was a presentation to pre-service teachers about the digital writing workshop. In this session, I was able to do in a face-to-face setting what I had hoped to accomplish online with the webinar. The face-to-face setting, as one would expect, was richer in the sense that I was able to converse with the pre-service teachers directly and gauge their reactions to what we were discussing. I also had two hours, allowing them time to talk in small groups so they could have more time to process their own thinking. As I reflect on the experience of doing the webinar — and the value that it has in distributing a professional development experience widely — and the local experience of being in one classroom, I am torn. I wish that there were enough ways (and bandwidth) to have people engage in some of the smaller group discussions through a webinar. And, I wish that it were practical enough in the classrooms in which I was teaching to use some of the technologies we had in the webinar (such as a chat backchannel and interactive whiteboard). 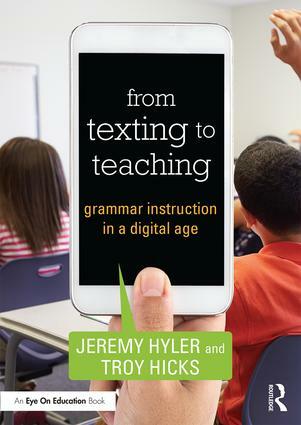 Not sure where I am going with this particular series of thoughts right now except to say that I do feel that teaching digital writing seems to be best when there are some elements of both online synchronous and face-to-face elements involved. A third experience that is coming soon will be my hosting of three episodes of Teachers Teaching Teachers, all featuring my colleagues who shared lessons and ideas in the book. My goals for this PD, in conjunction with the Ning that I have set up, is to provide the teachers who are doing this work in their classrooms the opportunity to share what is working and engage in a conversation with other colleagues about questions and concerns that they have related to teaching digital writing. To me, this on-going conversation — both the actual conversation that happens during the webcast and the follow up that can happen on the Ning — seems to be a hybrid model where people may not meet face to face, but they do get to share their ideas, then go back to listen again, and continue the conversation. As we think about ways to develop TPACK, it is this recursive process that I find most inviting for novices and experts alike. A final set of experiences will come through a variety of upcoming professional development sessions that I will do as a part of CRWP and other conference presentations, including UPRA next week. In these face to face sessions (some with computer access and some without), I think that emphasizing the ways in which digital writing changes our rhetorical contexts as writers will be very important, and it is that focus that I think helps keep the focus on the writer, then the writing, and finally on the technology. My hope is that engaging in these sessions, where I will be able to give some background and show some examples, then inviting teachers into conversations about how and why they could teach digital writing, will then inspire them to get online, join the community in the Ning, listen to the webcasts, and find resources from other interested colleagues. All of this is just to say that I think professional development for teachers — like all other industries — is undergoing some changes. We can’t just say that it should all happen online (synchronously or asynchronously), or only count face to face sessions (through PD or grad classes) as a means to an end. Like their students, teachers need choices about how, when, and why to engage in learning. My thoughts are still evolving on this and, like Sara, I look forward to hearing other ideas about how you are helping your colleagues engage in digital writing and professional learning. 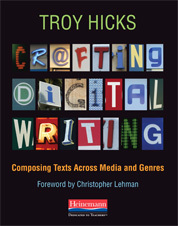 Troy, I liked when you mentioned that “…digital writing seems to be best when there are some elements of both online synchronous and face-to-face elements involved.” Digital writing such as digital stories, Twitter, blogs, wikis and other modes of digital writing could all be produced with little thought and effort. However, they also provide opportunities for deep learning if used thoughtfully. We as teachers can combine our expertise with these new tools and have our students create a piece of excellent writing. For example, we can have our students write a persuasive blog post about a topic of their choice. Just as a traditional assignment, we can require the students to include all the elements that teachers would normally require in a persuasive paragraph. In addition, having students write a persuasive paragraph as a blog post creates a unique opportunity that would not be given in a traditional persuasive paragraph on paper. Blog posts allow students to read and respond to the writings of their classmates. They can continue the conversations outside of the classroom and bring in relating news articles, other websites, and thoughts of others through hyperlinks. These conversations can be carried throughout the year and be brought up in later classroom conversations. 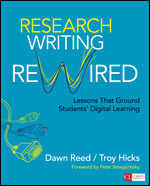 I am very excited about digital writing! It can combine all the elements of face-to-face communication, but add amazing tools that paper and pencil cannot begin to compare.